There are many fascinating aspects of the judgment in Siddiqui v The Chancellor, Masters & Scholars of the University of Oxford  EWHC 184 (QB). As is often the case I have chosen to concentrate on one of the most prosaic – limitation. The claimant had “knowledge” for Limitation Act purposes considerably longer than three years prior to issue. There had been no fraudulent concealment by the Defendant. The claimant was bringing an action alleging negligence in the teaching of a course in Modern History when he was a student in 1999/2000. It was alleged that the teaching of the course, a “gobbett” was substandard. This in turn, it was alleged, led to the claimant suffering psychiatric injury and failing to take up a career as a barrister but instead taking up a post with a major City firm of solicitors. The claimant was unsuccessful on every element. The judge found that the teaching did not fall below an acceptable standard. The judge found that the claimant could not establish the alleged causal link between learning of his results and any ensuing psychological problems. Mr Justice Foskett considered issues of limitation. Kerr J reviewed the arguments advanced by both parties on the issue of limitation in his judgment on the Defendant’s summary judgment application:  – . I do not propose to undertake the same resumé of the arguments: in many respects they remain the same as advanced before him and I gratefully adopt what was said in that earlier judgment. The difference now, of course, is that I have heard the evidence whereas Kerr J did not. In one sense, the whole issue is academic because I have endeavoured to deal with this case on the substantive merits and I have not felt that the parties have been significantly disadvantaged in advancing and meeting the respective cases advanced. Whilst I consider that there have been some gaps in the documentary material available to the court, there has been very considerable contemporaneous documentation available that has enabled proper consideration of the issues. Whilst the memories of all the witnesses had dimmed with the passage of time, (a) fortunately none had died in the meantime or become otherwise incapacitated from giving evidence and (b), as one might have anticipated given the intellectual capacity of all the Defendant’s witnesses, each was able intelligently to recreate his or her perceptions of material events in a generally persuasive way. Where there were areas of doubt, the contemporaneous written material generally gave the answer. 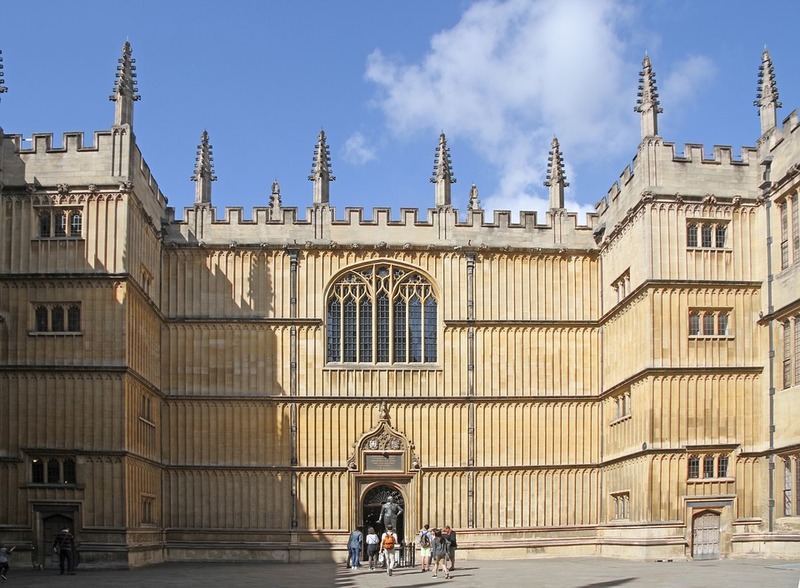 Those who had dealings with the Claimant during his time at Oxford will probably have had good cause to remember him, particularly given the tenacity with which thereafter he sought their assistance with the provision of references or the review of his results. Nonetheless, given the very extensive delay in these matters arising and what must be regarded as the general undesirability of litigating the kind of issues to which this case has given rise many years down the line from the material events, I think I should address briefly the “knowledge issue” ( –  of Kerr J’s judgment) and the “fraudulent concealment issue” ( –  of that judgment). As a preliminary to this review, the circumstances in which the Claimant came to investigate and pursue this claim need to be understood. It will already be apparent (see paragraph 42), that it was the discovery of SB’s views about the ISS course that led to the Claimant approaching Dr Conway. Dr Conway’s evidence was to the effect that the Claimant “badgered” him into making a statement in support of his (the Claimant’s) request to the University to reconsider its classification of his degree. Dr Conway eventually agreed to make a factual statement which he sent to Brasenose College. It referred to SB’s letter and to Professor Washbrook’s response which, of course, contained the concerns about the circumstances in which the course was taught (see paragraphs 44 – 66 above). Mr Mallalieu described this as the Claimant’s “lightbulb” moment. He had, it is suggested, always known that there was something wrong with his ISS grades, but until then he had had no explanation. Now he had at least some basis for believing that there might be an explanation for what had gone wrong. Mr Mallalieu says that prior to October 2013 the Claimant had insufficient “knowledge” for the purposes of section 14 of the Limitation Act 1980. There is no doubt that the proceedings were issued within 3 years of that date, the Claim Form being issued on 26 August 2014. It is accepted on his behalf that the burden lies on him to establish on the balance of probabilities that he did not have the requisite knowledge of the relevant matters until within 3 years of the date of issue of the Claim Form. What constitutes “knowledge” for this purpose is an issue that is not free from difficulty when there is no obvious “injury” occasioned by the putative negligent act: see, e.g., AB v MOD  1 AC 78. The injury alleged in this case (depression or an adjustment disorder) was not, on the Claimant’s case, capable of being attributed to his low marks in the ISS gobbets paper until this attribution was made during the consultations with Dr Beckett in 2012-2013, yet it is the Claimant’s case that he suffered profound shock at the results at the time the results became available (see paragraph 138 above). As will be apparent, I do not accept that case (see e.g. paragraphs 137 and 145 above). Nonetheless, the case advanced (upon which an assessment of this aspect of the limitation issue must be based) is that he suffered a psychological injury at or shortly after the results were announced and that it was not possible to make the attribution of the cause of that injury to the alleged breach of duty by the University until October 2013 at the earliest. Applying these principles to a given factual situation may not always prove easy. One difficulty in this case, having heard the evidence, is knowing the reality of the Claimant’s subjective thinking about all the various material matters at certain material times. I have already said that there are “many layers to his perception of an event” (see paragraph 161 above) and, whilst I intend him no discourtesy or unkindness given his acknowledged mental health issues, unravelling the complex mix of his mental processes at various times has proved extremely difficult. (i) In relation to the teaching received in preparation for the gobbets paper, there is clear evidence that, at the time of the paper, he believed that there had been insufficient coverage of the syllabus. I have, of course, rejected this as a sustainable allegation (see paragraph 90), but his email to Dr Ingram of 25 October 2001 (see paragraph 104 above) shows that he believed in the fact of inadequate preparation as at the time he took the paper. He confirmed this in his oral evidence. He also asserted that he took a positive decision not to complain. Had he done so and received an unsatisfactory response, he might well have taken the next step of seeking legal advice. (ii) It was accepted by him in evidence that he was aware of SB’s concerns about the teaching of the ISS course. They were in the same tutorial group and discussed these matters. This would have reinforced his belief as to the fact of poor preparation for the paper. (iii) Whilst, again, I have rejected his case that it was the level of his degree that prevented him obtaining a place at Harvard or Yale, if that is what he genuinely thought (which is his case), following up what to him must have been a significant factor in his under-achievement in the gobbets paper (which, on his case, is the paper that brought his IIi down to a low level) would be an obvious step given (i) and (ii) above. He did not take that step. (iv) In relation to the relevance of his mental health issues to his performance in the gobbets paper (and indeed any other papers), the letter from Professor Sharpe dated 20 February 2001 (see paragraph 113 above) demonstrated clearly that those issues had not been raised. It was only the hay fever that was known to the examiners. I have already drawn conclusions about the alleged failure of Dr Ingram to draw these issues to the attention of the examiners (see paragraphs 147 – 167 above), but if and in so far as the Claimant seeks to rely in these proceedings on the fact of Dr Ingram’s failure to inform them, he knew that fact from no later than when he saw Professor Sharpe’s letter which he acknowledged that he did at the time. I agree with Mr Milford that the Claimant’s suggestion, when confronted with the letter when giving evidence, that nowhere in the letter was it said “that the depression, insomnia and anxiety [were] not taken into account” is a wholly unconvincing response. However, the short point is that any sensible reading of the letter would have alerted him to the fact that his mental health issues had not been taken into account. Given the case he seeks now to bring, there was a clear basis for him to seek further information or advice about whether it afforded him a basis for taking proceedings. (v) If, contrary to my earlier findings (see paragraph 224 above), the Claimant suffered extreme shock at his results such that his health suffered, he was in a position then to obtain medical advice about the cause of his ill-health. To my mind, all that the events of September/October 2013 yielded was evidence, or further evidence, which arguably supported the facts that he believed existed at this early stage. It follows from the foregoing that, in my judgment, and subject to the “fraudulent concealment” issue and the exercise of discretion under section 33 of the Limitation Act, I would have concluded that the claim was statute-barred. I will turn to the issue of “fraudulent concealment”, but it should be noted that Mr Mallalieu, quite correctly, accepted that it could only apply to alleged inadequate teaching arrangements. Mr Milford’s short point is that neither limb (or gateway, as he termed it) was satisfied in this case. Mr Mallalieu, on the other hand, says that the Defendant, through its various officers, knew from about September 2000 that SB had made a “serious and very unusual complaint” (as he put it) about the teaching of the ISS course, that those matters might have affected the results in the ISS papers and indeed the marks were generally low by comparison with other Special Subject gobbets papers, that there was no First-level mark that year (which was unusual) and Professor Washbrook and Professor Brown (in September) each acknowledged that there were teaching difficulties that year. Bearing in mind that the Claimant was asking in December 2000 for the marking of four of his papers (including, as it happens, the gobbets paper) to be re-checked, it is argued that he should have been told of these matters and that the failure to do so amounted to deliberate concealment. Mr Mallalieu adds to this proposition what he submits was a concession by Professor Archer that he (the Claimant) ought to have been told about these matters once the University was aware that another student had said that his or her result did not reflect their performance and that “something might have gone wrong”, a somewhat loose expression used in the question that elicited the answer “yes”. Mr Milford’s response to that last matter is that the Claimant’s request, through Dr Ingram, was to have his results on these four papers re-checked because he did not feel they were “an accurate reflection of his performance” and because he wondered whether the marks awarded were indeed marks given for his papers (and not the papers of someone else). The request did not focus at all upon the quality of the teaching which led to his performance in the paper – and, of course, if it is the case (see paragraph 104 above) that he felt at the time that he had not been prepared by the teaching for the paper, this is something he could have raised then. Indeed Professor Archer said very clearly that, if he had complained about poor teaching, it would not have been possible to alter the result in any event. Dr Heal was of the view (see paragraph 49 above) that the complaint made by SB (which, of course, was not wholly accepted by Professors Washbrook and Brown) was not a complaint that went to the marking of the papers or anything to do with the results. No other student made a complaint that reflected on the quality of the teaching. As it seems to me, the issue is whether the attitude taken by those who got to know about the issues raised by SB (and the response, in particular, of Professor Washbrook), namely, that they were issues raised by one particular student who was not complaining about her examination result and which went as much to the content of the course as to her perception of Professor Washbrook’s style of teaching (see paragraphs 50 – 52 above), was obviously unreasonable. If it was, a duty to send the issue elsewhere (perhaps to the Proctors or to the University authorities) might well be seen to arise in the circumstances, particularly if there was clear evidence that the teaching was obviously inadequate. But if the view taken was reasonable and tenable, then it is difficult to see how any such duty could arise and, in consequence, why the Claimant should have been alerted to these matters when he asked for his marks to be re-checked in the absence of any expressed concern about the quality of the teaching. For my part, I can understand how the view expressed, particularly by Dr Heal, was taken and against that background I cannot see any grounds for concluding that some fact relevant to the Claimant’s cause of action had been deliberately concealed from him (Limb 1) or indeed that there was knowledge on the part of Dr Heal’s committee of negligently inadequate teaching, the existence of which the Claimant could not discover for some time (Limb 2). For these reasons, I do not consider that the Claimant has established that there has been any “fraudulent concealment” of material facts or matters upon which he could rely to extend the normal limitation period. Those conclusions would have resulted in his claim being statute-barred and his recourse would have had to have been to the discretion afforded to the court pursuant to section 33 of the Limitation Act 1980. As I have already observed (see paragraph 220), I have in fact addressed this case on the merits and not felt that the Defendant, in particular, was disadvantaged having to meet the case on the merits. I cannot say what decision I might have reached had I dealt with the limitation issue as a preliminary issue. That possible avenue was abandoned by the Defendant and it may simply have been that the view was taken (in my view, justifiably) that the claim could be defended on the merits and that it would be better so to defeat it than to rely upon the limitation period. At all events, the issue has been left to what was otherwise the substantive trial and it is a somewhat futile exercise to reflect on it further.